Do you like to entertain or host guests? Does your living space double as a home office? 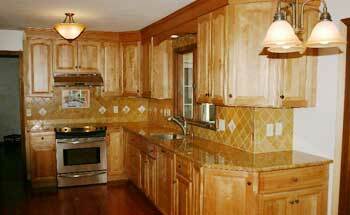 Is your kitchen small with aging cabinetry and outdated appliances? Would you like an updated bathroom with a Jacuzzi tub? So many options for such an important space. The inside of your house is just as important as the outside when it comes to safety and aesthetics, and Wyeth Woodworking and Remodeling takes great care in the time and effort it puts into your living space. From flooring and trim to tile and woodwork, Wyeth will update your kitchens, bathrooms and basements and maximize your space within your timeframe and budget. If you are worried about vacating your space for a lengthy remodeling project, Wyeth Woodworking and Remodeling will make sure you can live safely and comfortably in your house while renovations are in process. Your comfort is as much a priority as the renovations Wyeth does. Therefore, we won’t move in so you won’t have to move out. Give us your ideas and we will run with them!